Conakry (AFP) - A resurgence of Ebola in a rural Guinean community has killed seven people, health officials said Wednesday, even as the World Health Organization voiced confidence that remaining isolated cases could be contained. The WHO said Tuesday that the Ebola outbreak in West Africa no longer constituted an international emergency, but the announcement of new cases demonstrated the difficulty of managing the aftermath of the virus. The death of a man, two of his wives and his daughter were announced two weeks ago by the Guinean health authorities, who confirmed Wednesday a third wife and a mother-in-law also died after becoming infected in the village of Koropara. Polygamy is commonly practised in Guinea. 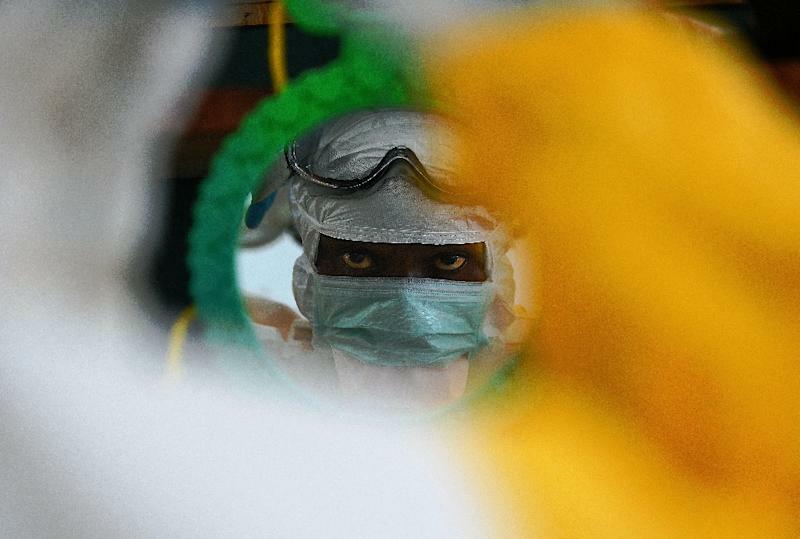 "On March 30, there are nine registered cases and seven deaths: three suspected and four confirmed," said Fode Tass Sylla, spokesman for Guinea's Ebola response unit. Outside the family, a man died on March 22 after testing positive for Ebola in the city of Nzerekore. Two more people -- one suspected case and one confirmed -- were receiving treatment at a dedicated Ebola facility in southern Guinea, not far from the Liberian border, Sylla said. The country was declared free of Ebola transmission at the end of last year, though a significant number of deaths are believed to have gone unreported and "flare-ups" relating to the persistence of the virus in survivors' bodies pose ongoing challenges. A WHO Ebola report released Wednesday said the virus present in the blood of one of the confirmed cases was "closely related to (the) virus that circulated in south-eastern Guinea in November 2014". More than a thousand people who are believed to have come into contact with the victims are being monitored for symptoms and offered support by the authorities, with restrictions placed on their movements. "Additional cases are likely because of the large number of contacts," the WHO report added. Those most at risk are also being vaccinated against the virus. The deadliest-ever outbreak of the tropical disease emerged in the same region as the new cases in December 2013 and went on to kill more than 11,300 people, mostly in Guinea, Liberia and Sierra Leone. The WHO was first alerted to the reappearance of the Ebola symptoms in the family's village on March 16, the same day it declared a similar flare-up over in Sierra Leone.